Refer someone to our cleaning services and receive rewards in the process! Getting the word out regarding our Delta cleaning services is important to us, and we appreciate your help! Should you know a business in need of a commercial cleaning company, we would appreciate your referral and will reward you for it. 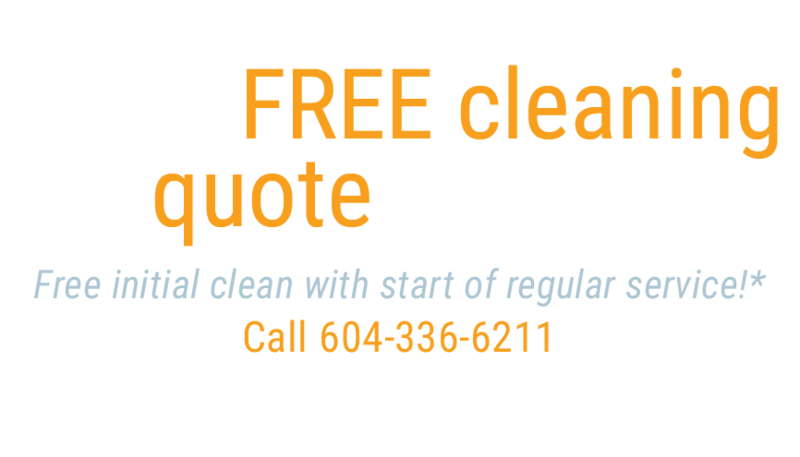 Whenever you refer a business cleaning and office cleaning client to Anago of Vancouver and they sign up, you will receive a $50 Visa gift card! It’s that simple! All of our janitorial services, including floor care and carpet cleaning, are carried out using green cleaning products. We also offer a cleaning franchise opportunity that has been widely lauded as one of the very best franchise opportunities in any industry. It’s no wonder a growing list of satisfied clients are continually singing our praises to other business owners. We appreciate the word of mouth, and thank our clients for their continued support! We are pleased that word regarding our Delta janitorial services continues to bring us even more opportunities to serve businesses in the lower mainland. As one of the most respected companies in our industry, we are committed to continually improving our services in order to provide the very best for our clients. No matter the specific Delta commercial cleaning options you desire, we can provide them for you at Anago of Vancouver. No two cleaning plans are alike here, as we strive to provide the type of individualized service our clients deserve. Call today to discuss your cleaning needs. Working together, we can create a custom cleaning plan that provides the solutions you are looking for in affordable fashion.